Grams and ounces are both units of measurement associated with the concepts of mass and weight. The gram is a metric unit for measuring mass. 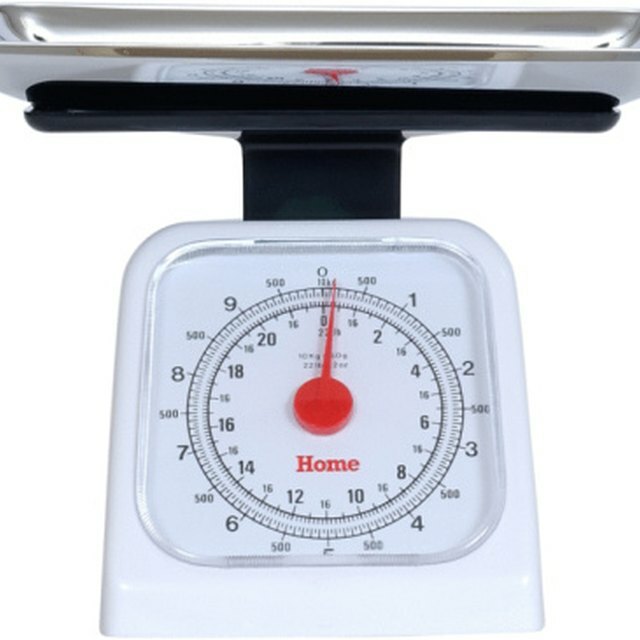 Ounces are typically used in the United States to measure mass. This ounce is known as the avoirdupois ounce. It results from dividing a pound into 16 equal parts. The troy ounce is a slightly different ounce, resulting from the division of a Roman pound into 12 equal parts. You can convert grams into either of these ounces by noting the appropriate conversion factors. Measure your object on a balance. Record the result in grams. Multiply the number of grams by 0.035 ounce per gram. This will yield U.S. ounces. For example, 100 grams is equivalent to 3.5 ounces. Multiply the number of grams by 0.03215 troy ounces per gram. For example, 100 grams is equivalent to roughly 3.215 troy ounces. Can You Define These Impossible Science Terms? Murmson, Serm. "How to Convert Grams to Ounces." Sciencing, https://sciencing.com/convert-grams-ounces-4869979.html. 24 April 2017.